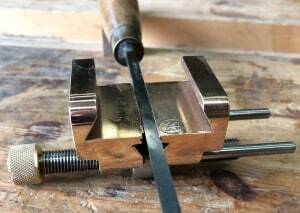 This is a rugged and very well made vice that is just so versatile. 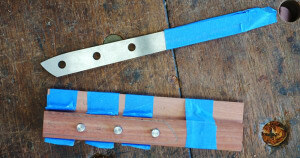 Making and fitting your own knife handle is a great use for those figured but too small for anything else pieces of wood some of us hoard. 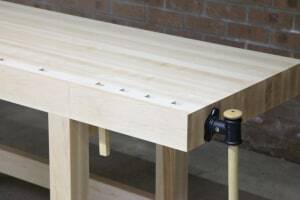 Flat, strong, heavy with efficient workholding – two styles of locally made benches are available. 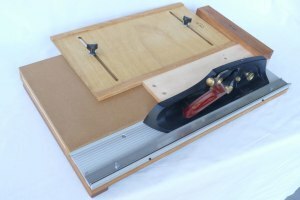 There are three clamping positions in the jaws which as far as I know is unique to this type of tool, writes Liam Thomas. 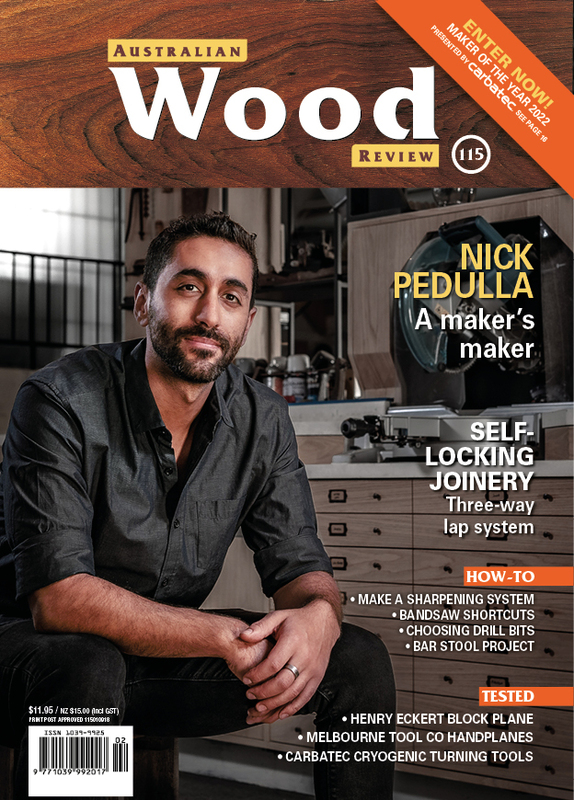 'Made by New Zealand planemaker Philip Marcou, this plane is esoteric as it only cuts chamfers and this suits my style of work well', writes Vic Tesolin. 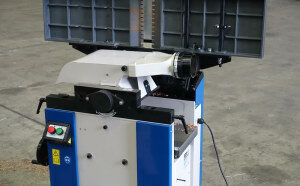 This revolutionary joinery routing machine will be demonstrated at Wood Dust Australia. 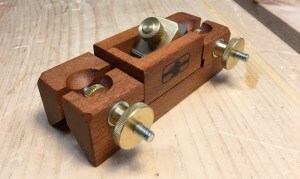 Affordable shooting planes from handplane and sharpening guru Jiim Davey. 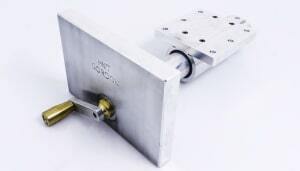 This is a different take on the traditional combination square that has a big cast and machined aluminium body. 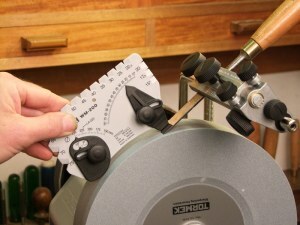 Vesper Tools guides are made in-house with case hardened thrust wheels and guide blocks to the proven Wolfenden design. There is a lot to like about the T8...and that’s a huge compliment from a sharpening hater like me, writes Troy McDonald. 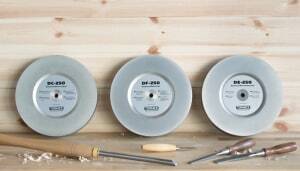 Tormek has just released three new diamond wheels and a multi-base for their water cooled sharpening system. 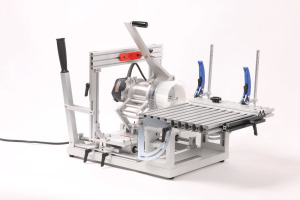 Looking for an Entry Level Lathe? 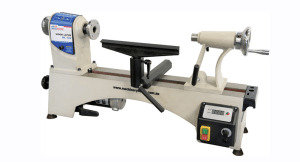 A new arrival on the mini wood lathe scene is the WL-14V which comes with plenty of features but is still on the affordable side. 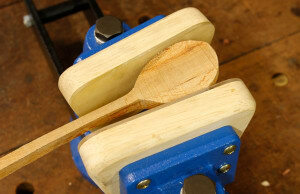 Adrian Potter explains the basic differences between different cast iron bench planes. 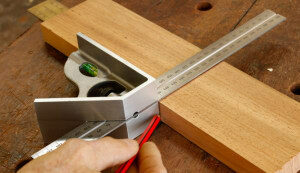 A new concept in bench holding offers a non-wracking solution with a sealed thread.